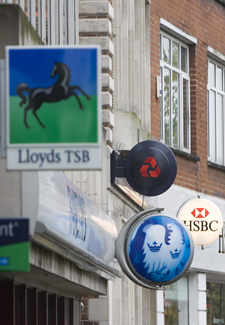 Money Q&A: Should I be paying for my current account? Q: My bank is offering me a current account that I pay for in return for a list of benefits. Is it worth me switching? A: It depends on whether the benefits you get with this fee-charging bank account can be found cheaper elsewhere or whether you actually already have them. Paid-for accounts charge the customer a monthly fee between £8 and £25 for the privilege of having access to everything from travel insurance to car breakdown cover. It is time consuming, but if you’re considering taking one of these paid-for accounts, or are in one already (and one in five of you are), take an hour to sit down and see if you can get any of the ‘benefits’ cheaper by buying it separately. My advice is generally these accounts are a waste of money and many don’t even offer you the level of cover you need, so always read the small print. The Financial Services Authority (FSA) agrees, which is why they have set new rules to come into effect on 31st March 2013 to force providers to check whether their customers are eligible to claim under each policy and to make sure they know that information. If you are unhappy with your paid-for account, simply switch. Some banks such as Halifax will even pay you £100 to switch, so it’s definitely worth it!